To answer the question, “What makes Mother Earth MineralsTM superior to other water- soluble mineral supplements on the market, one must first understand exactly how individual minerals function at the cellular level, and why they are essential to health and vitality. Every atom in the Universe has a frequency. This is proven by the science of Physics. Whether it’s a grain of sand, a piece of steel, a plant, animal or an organ cell in your body, each cell resonates, or vibrates, at a specific frequency or oscillation. Your body consists of a variety of atoms, which in turn contain a variety of photons and electrons that exhibit and generate an overall bio-electric energy that runs through all cells. That frequency of life energy, incidentally, is the harmonic base frequency of 728. The way you take care of your body physically, emotionally and mentally determines how many negative frequencies or toxins are being built up in your individual cells and tissues. There are four general ways imbalance (i.e. disease) in the body is created. 4. How we process information in our thinking and feeling. My doctoral dissertation study quantified, graphed, and measured the individual resonant frequency of 21 essential minerals. These mineral frequencies in turn provide the cell with the raw building blocks to produce living enzymes. Minerals are “co-enzyme factors”. These enzymes in turn are then the building blocks for hormones which in turn regulate all bodily functions, ultimately. That is exactly why Dr. Linus Pauling declared so forcefully: “You can trace EVERY Disease, EVERY Illness, and EVERY Condition to a basic mineral deficiency.” This two-time Nobel Laureate was absolutely correct! 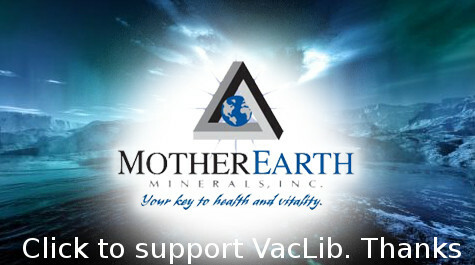 So with these basic facts understood, what makes Mother Earth MineralsTM superior? The first difference is in the WATER medium in which we place the minerals themselves. We use ONLY medicinal-grade steam-distilled water with less than .3 PPM of totally dissolved solids (TDS) measured. Water has memory. It’s not good enough to simply filter contaminants from the water through the process of Reverse Osmosis or Deionization. Not only does 1-3 PPM of contaminants remain after a typical R.O. process, but the treated water actually retains the “frequency” of the toxins that were removed. The same is true of Deionization. It is therefore highly counterproductive to add individual minerals to base water that is remains contaminated with harmful residue frequencies. It must be understood that the potency and effectiveness of any water-soluble mineral is only as good as the water the mineral is placed in. Steam distillation effectively “rebirths” the water molecule, freeing it of all prior frequencies. Secondly, we also utilize the highest possible purity in the minerals themselves. Our mineral elements are certified by independent labs to be 99.9% pure. We simply place extremely pure elements in the purest water possible. We do not harvest our supplements from the Great Salt Lake. Regardless of promotional hype to the contrary, Great Salt Lake water is loaded with toxic contaminants – and leaching does not remove them, it only concentrates them. Third, once our minerals solutes are produced, we employ a proprietary process called “redoxing” before the product is bottled for final sale. This is a process of electromagnetic enhancement of the biophoton/electron base of the solute. In simplistic terms, the process basically adds biophotons and electrons to the water and mineral atomic structure. This increases the mineral’s effectiveness and bio-availability a hundredfold. Finally, in its finished state, the supplement mineral needs to enter the bloodstream as quickly and as efficiently as possible. Recent studies have shown that most Americans have consumed an overabundance of “anti-nutrients” from grain, and soy primarily. These anti- nutrients accumulate in the G.I. tract – and block the absorption of minerals in the food that is consumed. Therefore, it is preferable to bypass the G.I. tract as much as possible. Mother Earth MineralsTM are designed to be taken sublingually (under the tongue). They quickly and efficiently enter the bloodstream to begin their healing journey. 1. Water-soluble minerals must begin with pure water. 2. The minerals themselves must be as pure as possible. 3. The supplements must not be stripped of electrons and photons. If they are, the minerals may become toxic “heavy metal” free radicals. 4. The supplements should not enter the gastro-intestinal (G.I.) tract if at all possible. To the casual observer, Mother Earth MineralsTM may appear to be more expensive than other “Supplements” – but upon closer study, they are in reality much more cost effective because they often work where other supplements fail miserably. We cordially invite you to give them a try, and then share the knowledge with your friends and neighbors.